Attend us on a fair or exhibition. Use the opportunity to convince yourselves of our products and speak with our experienced consultants. With over 500 participants, are the EHI Technology Days the most important conference for trading technology in Germany since many years. Also this year, the who's who of the IT managers meets on 6.-7. November 2012 again in Cologne to discuss the newest trends, projects and visions. The signotec is represented again on the GITEX-Technology-Week in Dubai from 14.-18. October 2012. The newest innovations and products of the signotec are going to be presented at stand E4-1 in hall 4 from the partners InCube from Dubai. The GITEX is the leading platform for IT-innovations and therefor the ICT Gateway to the middle East, north Africa and the region of south Asia. The exposition in Dubai links more than 3.500 national and international IT provider with more than 138.000 specialists. Congresses and dissertations form the general program on the GITEX in Dubai. Here you can find information about the exposition. 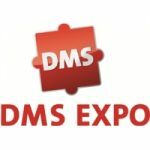 With its focus on electronic information, documents and storage management and technical documentation, the DMS Expo is unique in the world. The 10th Wincor World 2011 was a complete success. More than 7,000 visitors from over 90 countries came to the event to learn more about IT solutions and services. signotec’s presentation entitled ‘Signing digitally: Signature tablets and how they are used in practice’ proved to be a particular highlight, and droves of visitors turned up to see it. After the great success in 2011, signotec as the market and technology leader in the area of electronic signature using pen pads or tablet PCs, will present at CeBIT 2012 on an own Stand. From 06 to 10 March 2012 will be seen the complete bandwidth with the legally secure solutions for digital signing. with its responding membership, the ehi congress in bonn is a top event for commerce, business, and catering experts. Exposanità is Italy’s unique exhibition and Europe’s second largest event dedicated to health care and assistance. Established 30 years ago, it is viewed as a must-attend appointment and provides a platform for manufacturers, wholesalers and distributors to meet the medical community of the Mediterranean area. Visit us at Expo Sanita in Bologna. The conference in London, taking place from 21st to 23rd May 2012, is all about security printing of identification papers. The event will offer a program packed with national and international guests from authorities or public office who are, against the background of a constantly growing Europe, dealing with the topic of manipulation-proof identification papers.